Marvel Studios and Hulu are coming together to release adult animated shows based on Howard the Duck, M.O.D.O.K., Hit-Monkey, and Tigra & Dazzler. The three shows will then culminate in a crossover special The Offenders, where the groups combine to save the world. While that's all great news, it gets even better. The four series are being written and executive produced by Patton Oswalt, Kevin Smith, Chelsea Handler, along with Josh Gordon and Will Speck. This just might be that big news that Smith was hinting at a few months back. The Hulu animated series Howard the Duck is being written by Kevin Smith and Aqua Teen Hunger Force co-creator David Willis. This could end up being a pretty crazy take on the character, who has shown up in the Marvel Cinematic Universe with a voice provided by Seth Green. The synopsis states the Howard is "stuck in a world he never made," and he wants to return home. He will be helped by his "unstoppable gal pal Beverly" as they try to escape from Dr. Bong. M.O.D.O.K. is up next and that will be written by comedian Patton Oswalt. Jordan Blum is co-writer and will also serve as executive producer for the adult animated series. The character is a super villain with a gigantic head and a small body who has trouble managing his organization. It appears that the show will focus on some family problems too, which cause a strain on his evil organization. It sounds like Oswalt and Blum are going to bring us a different take on the iconic super villain. Hit-Monkey is up next with Blades of Glory directors Josh Gordon and Will Speck on board to write the adult animated series. The show is described as a "darkly cinematic and brutally funny" revenge series, which centers on a snow monkey, who is "mentored by the ghost of an American assassin." Chelsea Handler and Girls Trip writer Erica Rivinoja are tackling the Tigra & Dazzler series. The new adult animated series is about "two woke superheroes and best friends, who fight for recognition among powered people in Los Angeles." Much like Marvel did with Netflix and The Defenders, the four animated shows will culminate in a crossover, titled The Offenders. The special does not have a writer at this time, but one will surely be announced shortly. The special centers on M.O.D.O.K,. Dazzler, Tigra, Hit Monkey, and Howard the Duck as they team up to save the world along with "certain parts of the universe." 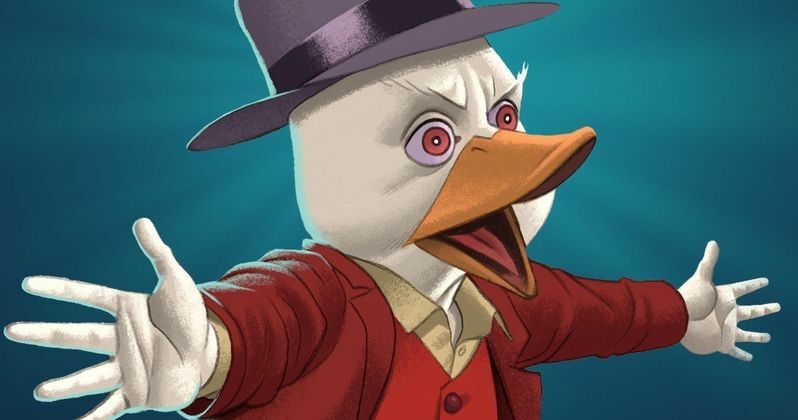 This is truly exciting news for Marvel fans who have been looking for another Howard the Duck project, which should bring the character back to his comic book roots. There are no release dates set for Marvel's adult animated shows on Hulu, but that should also be announced in the near future. The Marvel Studios and Hulu deal was first reported by The Wrap.